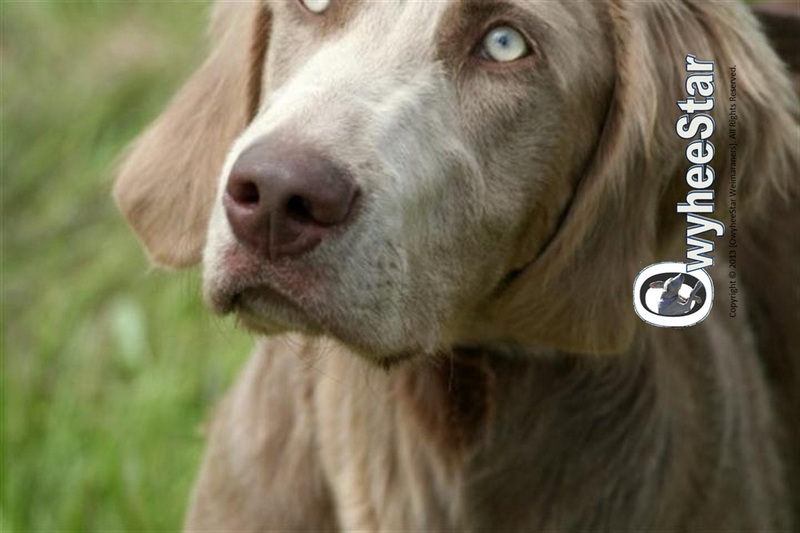 Until recently, the Longhair Weimaraner was virtually unknown to America. They are by no means commonplace, but they are gaining new fans. OwyheeStar's Stackhouse has been an ambassador of a sort. He has won many naysayers due to his winning personality. He is a favorite among Cliff's hunting friends. The longhair is not as hairy as one might imagine. Other than the tail, there is feathering on the ears, legs, and between the toes. There is a little more grooming than on a smooth-coat traditional A once-a-month grooming can go a long way to controlling any hair issue. The hair is a plus for many waterfowl hunters, and it is surprisingly less of a problem for the upland game hunter.